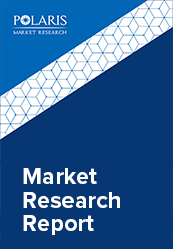 The global printing inks market is anticipated to grow at a CAGR of 6.2% between 2018 and 2026. Product demand is expected to benefit from the shift towards higher environment friendly ink formulations and printing digital inks. The packaging industry has been a major contributor to the topical surge in demand for printing inks, however downward pressure of pricing will continue to limit the printing inks market value. Raw material demand is anticipated to expand by approximately 2 percent annually till 2020. Colorants and additives are projected to experience formulation advances, reflecting demand for higher performance printing inks with bright colors. The advent of the digital inks has been a remarkable technological advancement for the printing inks market in the recent past. The U.S. has been the major contributor in the global printing inks market. These advances are driven by the tremendous developments within the digital technology space globally including print speed and quality that have opened up new applications for the digital inks segment. Increases moreover reflect a trend towards shorter run lengths and customization in several applications that range from commercial printings of inserts and direct mailings to the printing of specialized designs for the textile industry. Nevertheless, it is anticipated that further rapid penetration of the industry will be limited by the cost of adopting the new technology, including the purchase of new equipment and training of personnel. 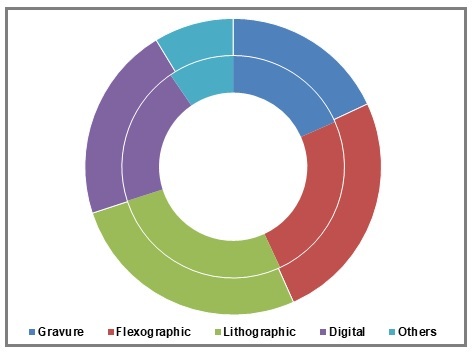 Furthermore, runs of digital printing inks application segments tend to be comparatively short and, consequently, the quantity of ink consumed is less relative to conventional printing inks. Packaging industry has been the foremost driver for increasing demand for these products in the printing inks market. Flexible packaging segment’s growth over the last five years has fueled the growth of printing inks, as more advanced product formulations are requisite for brighter and wider array of substrates that are used in this sector. Energy curable and water based inks have benefited from the greater concerns of environmental issues as well as advancements to these formulations that make them suitable for use in an increasingly wide range of applications. The global printing inks market is segmented based on type of resin, process, application sectors and regional markets. The resin types included in our research scope includes hydrocarbon, acrylics, modified rosin, polyamide, modified cellulose, polyurethane and others. The process segment is further segmented into flexographic, gravure, lithographic, digital, and others. The application segment is segmented further into flexible packaging, corrugated cardboards, tags & labels, folding cartons and others. Lithographic inks are expected to be the largest process segment inks over the forecast period. This particular process benefits from the strong position of lithography that offers several advantages including enhanced quality of print performance, longer plate life, and most importantly lower consumption of inks in comparison to other printing processes. But, it is also projected that lithographic process is to face significant competition from flexographic formulations during the course of forecast period. The dry lithographic offset inks that are primarily used in hybrid printing processes, which is a combination of letterpress and lithography are primarily used for printing decorative labels. However, as aluminum substrate is not capable of absorbing excess inks, use of printing inks for metal decoration is highly proficient. A single pound of metal decorating inks can print roughly 8,000 to 10,000 cans. Asia Pacific accounted for the largest share in 2017 in terms of consumption. India and China will be the primary contributors for the region’s increasing demand. These are also the fastest growing coatings market worldwide. Moreover, an improved outlook for product demand in Japan is yet another potential factor. Above the average developments are the major forecast for the printing inks market in the coming years. Some of the leading industry participants in the printing ink market include DSM, Diana Group SA, Wild Flavors GmbH, DuPont, Archer Daniels Midland, Ashland Inc., Agropur Cooperative, Kerry Group, Associated British Foods Plc, Ingredion, KF Specialty Ingredients, Eli Fried Inc., Frutarom and Naturex.